Depart from London on the British Airways flight to Beijing BA39 departing at 16:45 and arriving the following day at 09:30; flight time 9h 45m. Arrive into your Beijing in the morning transfer to your hotel the day begins with a short visit to the Summer Palace, take a stroll enjoying the classical Chinese garden architecture, the relaxation point of the royal family, and enjoy dinner at a Chinese Restaurant. Depart from your hotel at 8am and travel to Jinshanling the start of a 10km trek along the most unspoilt and original parts of the Great Wall to Simitai. The 10-km hike takes about 4-5 hours, passing 30 watch towers. 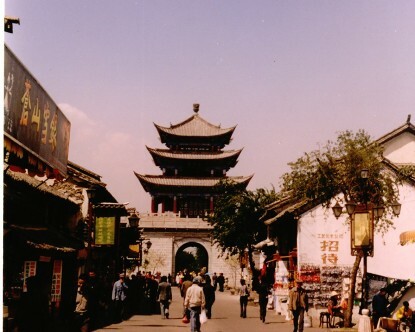 On arrival pick up at the train station and transfer to your hotel before visiting the Shaanxi Historical Museum, the ancient City Wall built in the 14th century and one of the most important city walls in China. In the evening experience a special Tang Dynasty Show and try the local speciality of dumplings. On arrival into Xining; the capital of Qinghai province check into your hotel. After lunch visit to the Ta'er Temple. A full day on the train to enjoy the spectacular views of the world’s highest mountains ranges at the top of the world. The train arrives early evening on arrival you will be met and transferred to your hotel. Lhasa is famous for its monasteries visit the Drepung Monastery and Sera Monastery. Drepung was once the largest and wealthiest and a Yellow Hat monastery where the Dalai Lamas were trained. Sera was a strong rival for importance and had three Tantric Colleges. Visit Norbulingka Park (Jewel Park), the old summer palace of the Dalai Lamas with its fine palaces, pavilions, gardens and ponds. Free at leisure till pick up from your hotel and transfer to airport for Zhongdian. Flight departs at 11:25 arriving Zhongdian (Diqing) at 13:05 MU5838 737 Eastern Airlines spend the afternoon visiting the Dukezong Ancient Town. Visit the Dukezong Ancient Town and the Songzanlin Lamasery this afternoon. Built in Ming Dynasty, the temple was one of the 13 big Lamaism Temples in the Kangzang region. Followed the style of Potala Palace in Lhasa, the Songzanlin Lamasery is home of over 700 lamas. Morning tour features the Dabao Lamasery, located some 15km away from Shangri-la. After typical Chinese style lunch, visit the Guihua Temple. Take a 2 hours drive for 3 Parallel Rivers scenic area. Visit the Tiger Jumping Gorge after lunch. Spend the night at a local guesthouse overlooking Tiger Leaping Gorge. Spend a few hours trekking along Tiger Leaping gorge before driving to Lijiang. Afternoon to enjoy the ancient city. A day trip to the Black Dragon Pool and the Dongba Museum, learn about the Naxi culture. Pick up from your hotel and the 2 hour drive for Dali. On the way, visit the Xinhua Village. Xinhua Village is famous for hand-made silver handicrafts for over thousand years. Visit local houses and then head for Dali. Meet our ethnic Bai minority guide and visit the Old Dali. The ancient city of Dali was first built in the early of Ming Dynasty and its South and North Watching- Towers are still intact nowadays. The Foreign Street here is another attraction of Dali. A day tour of Shanghai, some of its history can be seen at the Shanghai Museum on People’s Square with its fine collection of cultural relics. A trip to the Yuyuan Garden, laid out in the 16th century by a Ming official, this small (2 hectares) garden is a delight of pools, pavilions and rockeries. Strolling through the bazaar surrounding the garden, you will find lines of stores selling traditional Chinese arts and crafts. Visit The Bund, one of the most famous thoroughfares in China the commercial hub of Shanghai, to the thriving Pudong area. Enjoy your last tour dinner with excellent food and great views of the city.